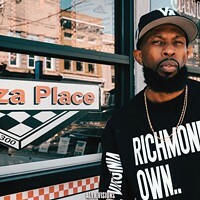 Planet of Sound | Music | Style Weekly - Richmond, VA local news, arts, and events. 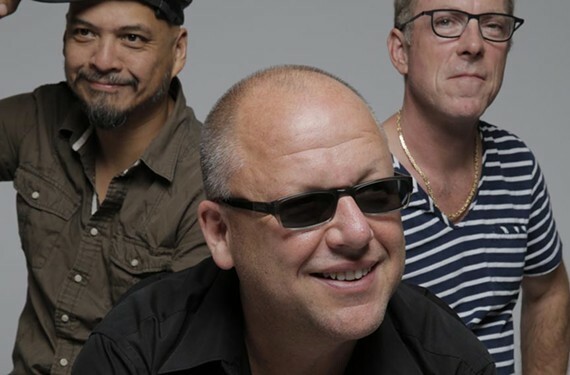 The remaining original Pixies include guitarist Joey Santiago, frontman Charles Thompson and drummer David Lovering. Conspicuously absent? Any bass players named Kim. Sound of Music co-owner John Morand recalls working sound for the Pixies back in the late '80s at Metro, the space now occupied by Empire. The melodic pop punk band from Boston had just released its classic 1988 album, "Surfer Rosa." "They were opening for the Throwing Muses," Morand says. "Then six months later they came back and the Throwing Muses were opening for them." The four-piece Pixies had a highly influential but short-lived career, breaking up unceremoniously in 1993 when prickly lead singer and songwriter Charles Thompson, also known as Black Francis, sent short faxes to the rest of the band. A couple of years later, drummer David Lovering decided to join Richmond's Cracker, touring with the group in the mid-'90s. "I remember him showing up with a cage drum set that didn't really jive with the image I had," Morand says. "He was getting back into shape." 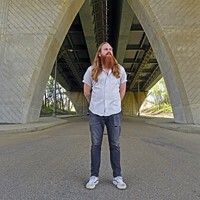 Lovering is a serious Rush and Steely Dan fan whose busy drum style has morphed drastically over time, losing the surplus drums and cymbals to stress more improvisation. "Over the years I've learned that less is more," Lovering says from Pixies rehearsals in Massachusetts. The original Pixies reunited in 2003 and have played several well-received world tours, mostly revisiting their seminal albums. But the band members are known for being dysfunctional, hardly talking to each other on the road — not out of any rancor but more because they claim to be introverted people. But the past year has been one of the most trying in the group's history. Last fall, while the band was recording its first new material in years, "EP-1," things took a major turn. Bassist Kim Deal suddenly called it quits. Her personal charm and high, Pixie-ish backing harmonies with Thompson had helped define the group (her song "Gigantic" was one of its most popular). Deal has remained mum about her reasons for leaving, but previously had expressed her desire to not record any new material. 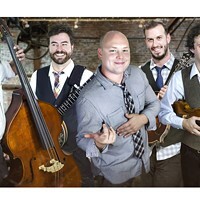 Stunned, the band considered throwing in the towel, but Lovering helped convince Thompson and guitarist Joey Santiago to continue. "It was an emotional day and evening, but we were halfway through recording and had already paid for the studio," Lovering says. "It was a better, more productive thing to do than just give up. No one can replace Kim Deal, but we're trying the best we can to move forward." The Pixies since have toured Europe with bassist Kim Shattuck of the Muffs, and more recently replaced her with Paz Lenchantin of A Perfect Circle and the Billy Corgan side band, Zwan. Lenchantin is fitting in great so far, Lovering says, and the band has worked up about 70 songs, mostly older material, to play on the coming tour. "Paz is fantastic. She can play bass and sing. Her mother is Argentinian so she speaks Spanish very well," Lovering says, a nod to a few Pixie songs that include bits of mangled Spanish. "We're going to Buenos Aires and she's kind of a star there, so it will be wonderful for her. We're all amazed at how well she's complementing us." The group is releasing three separate EPs of new material that will be compiled as an album. But critical reaction has been lukewarm to downright distraught about the new songs. Pitchfork recently gave "EP-2" a two-star rating, wondering if "any legendary band [had ever] returned with new material this limp and attenuated." 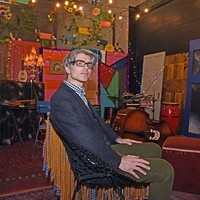 Heavily influenced by Gil Norton, longtime producer with the band, the songs have far more sheen and studio polish and less of the band's classic "quiet — loud — quiet" dynamic that heavily influenced '90s superstars such as Nirvana and provided a template for such modern bands as Cage the Elephant. It feels more like the sound of a band either trying too hard, or not having the same loose fun creating super-catchy hooks. One glaring musical difference is a more atmospheric guitar sound far removed from Santiago's original searing surf-rock style. "You've nailed it," Lovering says of the observation. "Joe has started using a Moog guitar and more effects which gives us a different sound," he says. "Also this is the first time the Pixies have been in the studio using computers and just being more meticulous and hands-on." Lovering doesn't sound too worried. Live, the new material takes on a far more gritty and raw feel — and the band still has its substantial repertoire of blistering older songs that stand up well. The aging drummer still must expend quite a bit of energy behind the kit nightly. "I'm 52 now and it's taken me 40 years to figure out what ergonomics is on the drum kit. Now my cymbals are lower, my drums are lower," Lovering says. "It's easier because I've figured out how to set up my drums correctly. I've also recently changed the way I play to traditional grip. I'm getting many compliments because people think it looks cooler," he says, chuckling. "But I think I'm also playing better." As for his days in Richmond with Cracker, Lovering recalls, "I've been to Richmond so many times." He jokes about the similarity between his name and Cracker front man David Lowery. "It's funny we're both radio geeks," he says — "we've actually gotten our mail mixed up because of the closeness of our names." Nor is Lovering concerned by any bad press for the Pixies, which really started to emerge slowly after a 2006 documentary, "loudQUIETloud," showed their inner workings and documented a tough time in Lovering's personal life when his father died while he was on tour. 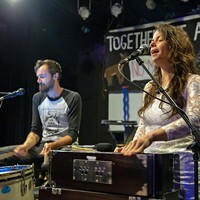 One bizarre scene shows Lovering continuing to drum onstage after the other members have stopped a song, seemingly oblivious to his surroundings. "That instance did happen, but not on the timeline the filmmakers had it, with things continually going downhill," Lovering says. "We really are a boring band. After two years following us they had nothing, so they had to make something out of nothing. They put me in a position where it looked like I was on drugs. It sensationalized us as an anti-social band. When we saw this, it gave it some drama so we went with it." Somehow these boring people together still translate to an incredible show. The band remains a huge draw in Europe and quickly sells out most shows in the United States. It's also left the door open if Deal ever wants to return to the fold. But if the music goes away again, at least Lovering, now the father of two boys, has his back-up career as a magician. The Pixies perform with Fidlar at the National on Wednesday, Jan. 29. The show is sold out.